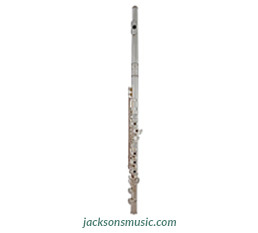 The Powell Sonaré flute retains some of the handmade instrument components that are critical for acoustical quality from the Verne Q. Powell Signature flute. Thus, Powell Sonaré flutes feature bodies made at Powell Flutes using the new patented Zinki technology and handmade Powell Signature headjoints. Both the body and the headjoint are made at Powell's Massachusetts workshop. Every Sonaré instrument goes through a strict quality inspection and adjustment process by world class Sonaré technicians.